Do you want to grow your blog? Then writing guest posts is a great option. But it’s not so easy to get it right. As the Chief Editor of Write to Done, I get a lot of pitches. Some I immediately reply to, others just get a courtesy email — and their offering straight into the trash folder. Read on to learn 21 secret tips that will enable you to become a successful guest poster. Most bloggers focus on one main thing when they pitch: on their wish to land a guest post. Wrong! That attitude won’t get you far. Your focus needs to be on something quite different. Tip #1: Focus on what the blogger needs. Yes, your total focus needs to be on the blogger and his or her needs. John: I’ve written an awesome post that your readers at Write to Done will love. Ryan: Do you still have a need for a guest post at Goodlife ZEN? I know you’re busy these days with the A-List Blogging Bootcamp launch – figured might be a good time to make contact again. I could do something about the value of dreams. Which one got the nod? All John (not his real name) got, was a brush-off email from me. I’ll come back to the number John a little later on. But first, let me say more about why I had an immediate warm reaction to Ryan. He is regular reader of Goodlife ZEN. He knows how to follow up elegantly. He offers an interesting topic. If someone ticks those particular boxes, I’ll definitely take a look at whether the blogger can write. And if they can, there’s a good chance I’ll accept their guest post – either now or in the future. Well, actually — no thank-you! I don’t mind if a blog is small. After all, every blog starts out small. Actually, I get a real kick out of helping ‘young’ bloggers get traffic to their blogs. A few months ago I offered Janice Hunter a guest post. She hadn’t even launched her blog yet! I suggested timing a guest post with her launch day to give her bloglet a bit of a boost. It worked and her blog has taken off! You can see her guest post here. Yes, I would like you to write a guest post for Write to Done. In particular I would love to write an article about being a ‘quote hunter’. Just as well this is an email and not Skype with sound and vision – I squealed and scared one of my kids! That made me smile! It’s so nice to get a sense of the real person behind the email. Tip #3: Check your stance – are you submissive or superior? Or can you be natural? Think about the tone and the stance you are taking up in your pitch email. (I’ve done 18 years of karate training, so I tend to take an interest in stances…) Personally, I dislike a submissive, as well as a superior stance. Going back to John, his tone is on the superior side. He praises his post and assumes that everyone will love it. That turned me against him straight away. Please remember that when you email a celebrity blogger. Even the blogging stars started small and with no experience. It’s good to acknowledge that they are more experienced and more successful than you at this moment, but they were once where you are in the past. Tip #5: Check your tone – do you sound confident and respectful, or arrogant? One thing even worse than a pitch making it clear you haven’t read the guidelines is a pitch letting a blogger know you did but you think you’re above the rules set for everybody else. Tip #6: A bit of humor goes a long way. Tip #7: Get inside knowledge – it’s priceless. Hi Leo, I’m wondering whether you are on overload with your Ebook? I notice that “Write to Done” hasn’t had a new post for a while. Would you like me to write a guest post or two for you? What kind of blogposts does it have? What’s the style? Which topics are missing? What kind of comments do readers leave? Make sure that you are part of the blog’s community and write some interesting comments before pitching to the blogger. I really like it when regular readers pitch to me. I know they appreciate the culture of the blog and have a feel for what the readers enjoy. Tip #9: Compliment the blogger – but don’t compromise your integrity. When you contact a blogger, say what drew you to them in the first place. Be specific and name an article that made a difference to your life. Be honest. Don’t say you like something, just to please. After all, you want to create a connection. You want to make sure that your recipient knows that he or she is in good company. 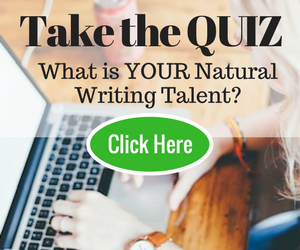 Have you had a guest post published in a well-known blogs? The way you do that is important. Make it personal. Instead of saying, “My guest post (link) was recently published at SevenSands.com” you could say, “John MacDonald recently asked me to write a guest post (link) at SevenSands.com and it was well received by his readers.” It’s a good idea to name-drop. One of our students in the A-List Blogger Club recently pitched a big blogger and wrote, “I’m in a mentoring program with Leo Babauta and Mary Jaksch.” He got the gig. That’s the main question you need to ask! Is the blogger going on holiday and might need guest posts? Are they expanding their business and might need new staff members? Would their blog benefit from your proposed theme? Have they written a book that you could promote? Hi Leo, I’m wondering if there is anything I can do to help you finish your book? (I’m a published author and know how hard it is to get that last bit done.) I’d be happy to do some editing for you if you like. Or I could put some ideas together for you for chapters that are still bare. Tip no# 14: Sell your proposed post with sizzle. Then list the main points of the proposed article in bullet form. Tip no# 15: Specify what’s in it for the readers. If the blogger accepts your guest post, what’s the benefit for their readers? Will the readers will be inspired? Or learn something new? Or acquire a new skill? Make it clear to the blogger what the benefits are. Sometimes it can be difficult to come up with something. When I wanted to interview Steve Pavlina for Goodlife Zen, I couldn’t think of anything. So I wrote, “What’s in it for you? Well, maybe just the sheer thrill of it!” It worked! Tip #18: Make it easy for the blogger. Imagine that you are a busy blogger. You need a guest post to fill a hole. But which one are you going to choose: the post that needs a lot of editing and formatting, or the one that slips into your blog without any work? No question – you would use the easy one first. The trick is to write your guest post in html. To do this, all you need is to write and format the post on your own blog and then copy the html version and save it as a text file. This means that the guest post is ready formatted and can be immediately placed into a blog. It’s a great mistake to offer a guest post in Word or just in the body of an email. It should always be attached in a .txt or .rtf file. Offer a couple of images. Research your target blog. What kind of images does the blogger prefer? What is the size and format of images on the blog? Check out whether the images he or she uses are in landscape (wider than high) or in portrait format (higher than wide). A good source for images is Flickr. Just make sure you choose images with a Creative Commons Licence and ad the reference to your covering email. It’s a good idea to choose three or four images to the blogger. There is no failure. Each ‘failure’ is a learning opportunity. You may find that not all pitches get accepted. Move on and focus on your next opportunity. The more pitches you write, the higher your chances are of landing your dream gig. Your best chance of landing guest post is to be a kind, considerate and helpful human being. And a good writer. Why not check out the Write to Done guest post guidelines and send me a pitch – I’m always happy to help you get it right. Thanks for this article! I’m looking into writing guest posts, but had no idea where (and how) to start. Hmm, quite a few of your guidelines seem to revolve around your ego. Is that really what an editor should be making their decision on? The truth is, a lot of the best writers are um, not the most delightful social butterfly diplomats. Well, ok, jerks. It seems an editor should be focused on finding those articles that best serve their readers, and look to friends and family for those cuddly feelings we all need. Thank you for aharing the insider’s scoop on landing a guest post! My curiosity is peaked. And, I have a comprehensive list to refer back to when I’m ready to make a pitch. Now that I read the post I know that not long time ago I acted like John. This is one of of those mistakes that help me grow big. With this in mind thank you for writing this comprehensive post. It helped me realize how important is not to assume and take consideration of all emotional aspects of a relationship. I am also a psychotherapist, interested in alternative methods and have a “babybloglet” wherein I hope to combine the eco craze and holistic wellness with many different methods. I will write, write, write in an attempt to summarize the trends + my voice without vampirization. Thank you in advance for any interest I may have piqued! What a great post! Thank you for this. I never even considered the possibility of pitching article ideas to the blog-world. I’m wondering — is this a good way to get a mini-portfolio going that I could then market to agents in the future? I know many agents like to see writing samples. I only accidentally stumbled across this blog, but I’ve bookmarked it and will definitely come back. Thanks again! Mary, thank you so much for providing such informative tips! I like as it’s coming from your stand, a celebrity blogger. I will come back to this post as a reference when I guest-post! Oh. Very nice article! very informative. I didn’t have a minute of dullness in reading. I love the advice! I am going to try and write some guest posts, but I haven’t decided which blog to write for yet. I am also going to try out Scribd to see if I can get noticed in the writing community. Thanks for the post and I will definitely be back to read more. Wow, so much to take in. It really seems like common sense stuff but I think that’s what many of us take for granted. Thanks for the great insight. Fantastic tips. I’m going to keep these in mind. And now, of course, I have to go explore the rest of the site. these tips are priceless! Your first tips about guest posting that I read during the first bootcamp and they made the biggest difference for me. This article definitely expands on the points I read more than 6 months ago and it add so much more value. Thanks for making the “unknown” a little less scarey! It seems a lot more doable now! Thanks! Excellent tips Mary! I would urge every aspiring blogger to follow these tips and start writing and getting guest posts. Interesting post– thanks for the tips. I’m confused as well.. John seems to fit #15-17 perfectly, and there wasn’t anything in particular I found off-putting about his email. He sounded confident that he could benefit the readers. John was boastful. I didn’t maybe quote all the parts his email that made that clear. It’s important to get the balance between confidence and modesty right, Sui. This is one of the best, comprehensive guides to guest posting I have read. As with all of the A-List Blogging materials it is right to the point. I appreciate the focus on meeting the bloggers needs. It is so right on. I shall take this as explicit permission to name-drop Mary @ Leo! Thank you for this post, Mary, and for yesterday’s masterclass. I am learning a lot, and by leaps and bounds. Hi, thanks for this post. I’ve been wondering how guest blog requests work. I have had one request to guest blog on my project management blog and he did a great job of making the bridge between what he wanted to talk about and what my readers would be interested to read. Now I know how to go about getting the opportunity to post on other people’s blogs. I’ve bookmarked your post for the future. Great post, Mary! I’m definitely bookmarking this one. Thanks for all the helpful info. I will definitely use this article as a reference guide when I go submit future guest post. Thanks for sharing!! p.s. I found Janice Hunter very soon after she’d written her first guest post for you last year. She’s fantastic! Because I am new to both Write to Done and to Goodlife Zen, I was wondering if there are also similar archived posts about the other side of the coin: securing guest post-ers for one’s own blog? A great way to get guest posts is to mention the possibility on your About page. Let people know that you would like people to offer guest posts. In time, as your blog grows, people will start approaching you automatically. Keep up the good work here. Always delightful and helpful. Mary, this is a great post. One of the easier ways to build readership for yourself is to guest post, and this tip list is, to say the least, a comprehensive guide for smallish bloggers like myself to take that leap to some growth. Like Melissa, I will be referencing in the future. Thanks again! I was a little confused about your comments about poor ‘John’ (tip#1) vs. tips 15-17. Was it his tone in his email that was the turn off? He did seem audacious. Great tips, Mary! I’ll definitely be revisiting this article soon. I’ll work on my skills first, but my number one question when thinking about guest posting will be: “How can I add value to that blog” instead of “What will it do for me”. Bookmarking your post for future reference.